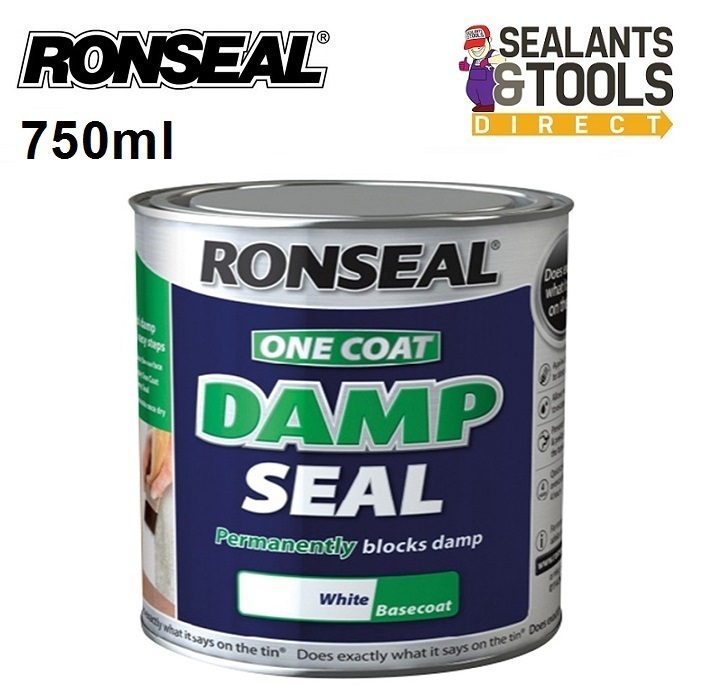 The Ronseal One Coat Damp Seal Paint 750ml permanently blocks damp stains on walls and ceilings. You can even put it direct onto damp walls and ceilings. The damp seal lets trapped moisture escape without causing any more damage. When it's dry you can paint or wallpaper over it. Make sure the cause of damp has been fixed. Open your doors and windows for ventilation and put down dust sheets. Remove any wallpaper with a scraper and sand off any loose or flaking paint. Make sure the area you are painting is clean, if you've got mould, get rid of it with our Everbuild 404 Fungicidal wash this is an important part of the procedure. Give the paint a really good stir, then use a roller or brush to put it on. If you're covering a small damp patch, make sure you are painting at least 30cm around the area or the damp will appear further out. It'll be touch dry in 2 hours and after 4 hours it'll be ready to paint or wallpaper over. If the area is prone to mould, you can paint over it with Everbuild Forever White Hygienic Paint. All indoor walls and ceilings. Bare or previously painted walls and ceilings. Clean all brushes or rollers in warm, soapy water. Please note that Damp seal is not a replacement for situations were a full blown DPM Damp Proof Membrane is required.